Services provided by GoGreen are customized to the specific needs of you, your family, and the conditions in and around your home. We will perform our standardized treatment including a foundation treatment penetrating the crevices around the base of your home, a granular treatment around the perimeter and mulch beds and/or gardens, repellant treatment around windows and doors, as well as a full clearing down of spider and wasp nesting locations around the eaves and exterior. Included as well is full interior service, including a special focus on garages, kitchen and bathroom areas, basement, as well as attic spaces when required. Every GoGreen initial service also includes a full bed-bug inspection! A full power-spray treatment 3-feet up and 3-feet out around the perimeter foundation of the home. This creates a repellant barrier that is re-applied seasonally in order to keep the pests out! Come winter-time, we will focus on physically sealing pest entry points around the foundation and perimeter. Clear down all webs, spider nesting sites, and wasps nests around the eaves, over-hangs, and door and window frames, as well as in the garage. By eliminating these nesting areas we improve the aesthetics of the home itself, and diminish the likelihood of pests returning to these areas. Granular treatment to create a lasting barrier against pest activity around the perimeter of the home, as well as mulch beds, gardens, and pest nesting areas. Granules break-down slowly, providing a time-phased release of product in-between the seasonal treatments. Treat entry points around the home such as window and door thresholds, electrical conduits, vents, and garages. 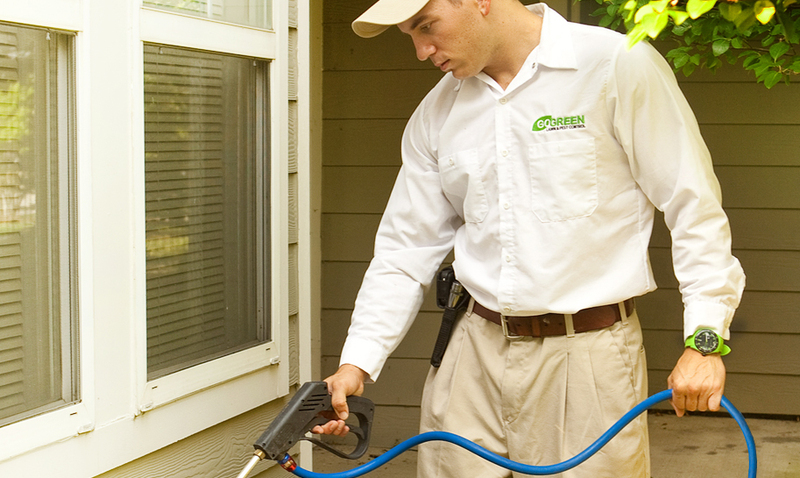 In the cooler seasons, GoGreen will focus on physically sealing cracks and gaps around windows and doors, which reduces the possibility of pests entering through these areas. Full interior service including in-wall treatment under sinks as well as laundry and utility areas. Accessible wall-voids, behind electrical outlets and switch plates are also treated in select locations. 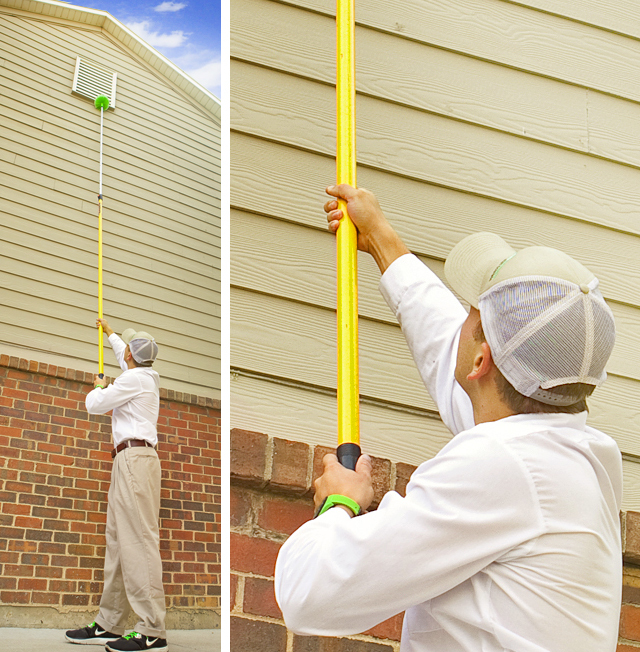 We focus the in-wall treatment in the areas where pest activity is most likely, or where it has already been noticed. Interior window and door thresholds, as well as any other areas of concern are also treated throughout the entire interior of the home. 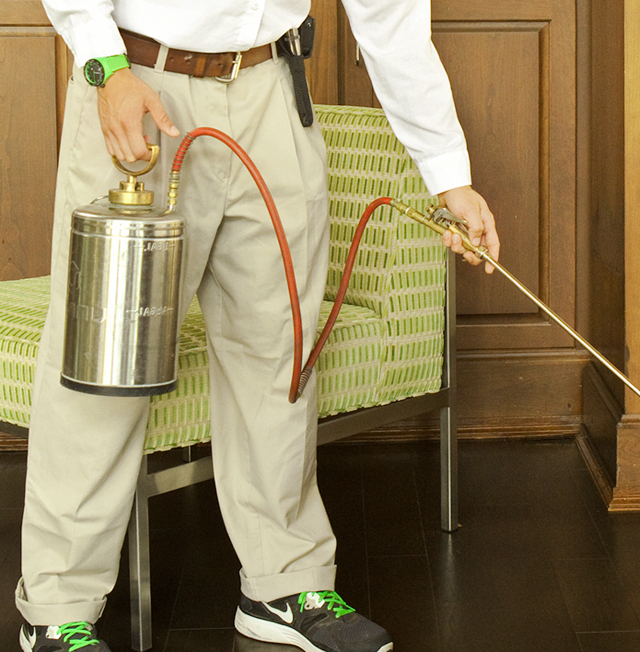 GoGreen Pest Control's service is designed to offer comprehensive pest service on and around your home. We will focus on areas of concern, and will leave no areas of potential pest activity un-assessed or treated.